"jamf Pro- Best for iOS-OS X Enterprise Management"
As a long time customer, there are many things I could include here, but time and again the number one has to be the level of support provided. I have never had a case closed without resolution. I have never had a support contact drop my issue. I have never had my support specialist declare any issue to be "Third Party" and not their problem. I guess if I have to list something here, i dislike that I do not have the time to delve into every feature that is offered in the standard jamf Pro Suite. If your organization wants top quality in product features and support, then jamf Pro is the only choice! jamf also promises and delivers on Zero-Day support on Apple iOS and OS X Operating System releases. As a systems administrator for a K12 school district, I manage over 4200 iOS devices and 2200 OS X devices. Without jamf Pro, I cannot imagine what this would look like, but my guess is, it would be a mess. My jamf Pro system is robust and agile. ! can manage situations that arise quickly and with minimal impact to network or end user. I like to ease of enrolling the iPads into the management system. Setting the naming scheme, applying restrictions and deploying applications is extremely easy. I dislike not having a report feature where I can run reports to pull specific information about apps, security, updates, etc. This can be done now using Smart Groups, but that pulls devices that fit the criteria set into a group and the devices can be exported into a text file or CSV file. I would have to create a "report" from that export that is presentable to my supervisors. The MDM is worth it. There are also so many hidden gems with JAMF that I was not aware of until I attended JNUC. You can use custom trigger policies for client device configuration, you can set up LDAP, and use JAMF APIs to create your own iOS app. Easier management and faster deployment of apps to several iPads simultaneously. Previously our teachers were using iTunes gift cards and the IT department was creating and managing Apple IDs for all grade levels. Eliminating the iTunes gift cards was great for the budget and helped teachers focus more on the content in the apps they requested. "Reinventing how you look after your iOS/MacOS Estate"
Replacing IT Support Time with Automated Processes, so that time can be spent developing the estate rather than firefighting issues. Allowing users that have non technical skills resolve technical problem with the use of Self Service. Zero Touch deployment negating the need for engineers to spend time preparing machines. The new pricing model may alienate clients during their renewal. There are some additional steps needed to really make Jamf shine in the Enterprise environment, such as allowing Cloud Distribution as a dedicated failover to File Distribution Points that are assigned to buildings. Jamf Admin is a crucial tool in the management of Jamf Pro, and is incredibly unreliable and crashes under multiple scenarios/environments when syncing large amounts of data to repositories. (Found this with many of my clients, and with brand new machines/fresh built repositories/different OS's and all display intermittent results with syncing and the initial copy of data to fresh repositories (Media Biz's that have 400GB~ of Repo)). Invest time in developing your estate, either with a onsite technician or using a outsourced engineer that can create the estate that looks after itself rather than just implementing the tool and not having dedicated hands to make the most of the features in Jamf Pro. Jamf is a great product. Chat support is generally pretty good and attentive. They follow up in a timely manner. I like being able to keep tabs on critical policies and patches from the dashboard. Really, there is no one who is doing what Jamf does. They are very plugged into the macOS pipeline and can usually provide support for all of the latest and greatest "features" that Apple is deploying. Using Jamf Pro as our MDM solution in conjunction with DEP has removed many of the touch points in our Mac deployment process. Sometimes information can be hard to come by. For example, the recent DEP vulnerability discovered by Duo. I can only found 1x thread on it, with only 2x replies. So, there is not much guidance on this zero-day vulnerability than I'd like. Also currently having a hard time finding clear instructions to support the new T2 chip-having Macs and FV2 setup/configurations. Seeing lots of suggestions from users, but not finding hard answers in the Admin guides. I wish Patch management support was a little more evolved and could be used like Munki to keeping non-VPP apps updates as well. We are using Jamf to enforce our security standards on our Mac environment. We also deploy applications and software using a combination of VPP and Policies. This has allowed us to modernize our computer deployment process using DEP - moving away from using computer images. "JAMF is a must have for Mac admins"
Even only having to manage 300 OS X and 300 iOS devices, JAMF was a life saver. I utilize JAMF in a school district with 12 remote schools. I simply couldn't manage that many devices with as few man hours as our tech department has. Before implementing JAMF, I traveled to all of our schools 3-4 times a year. Since we rely on air taxis for transport, this was very costly. Now not only do I travel far less, I am working out of the opposite side of the country, fully remote. JAMF makes this possible. Overall I don't have many complaints, but it would be awesome for more JAMF remote features to be directly integrated into the web UI. 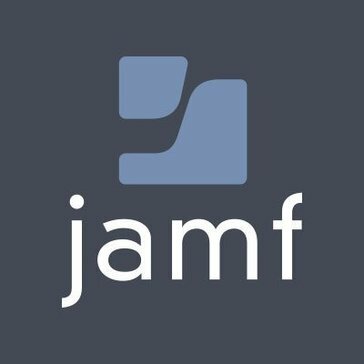 JAMF is a must-have for medium to large scale Apple deployments. Working for a school, finding time that a teacher or student can relinquish their tech for me to install updates or patches is challenging. JAMF allows me to queue these updates to be installed behind the scene with few interruptions. Since travel between our schools is expensive and logistical challenging, being able to remotely administer our devices with ease is essential. Our satellite internet connections further challenge remote administration. The JAMF platform solves all of these challenges. Being able to set up local distributions points at each site allows us to work within the bandwidth limitations of our internet capabilities. "Jamf offers the best user experience in the industry"
There are a lot of tools out there for macOS management and MDM, but Jamf by far is the most user experience-driven solution out there. Patch management has been a big disappointment, and the delay in offering updated MDM tooling provided by Apple has left a lot of engineering works on the plates of Jamf customers. We use Jamf for state management, meaning making sure all Macs used at our organization are managed and maintain a core set of applications, agents, and settings required to be secured and on our network. The biggest win is DEP, which we realize isn't Jamf-specific, but is a must for new computer setup for us since we hand over new Macs directly to our employees without IT intervention. The updated Self Service is a vast improvement with an aesthetically pleasing design, and is our hub that we have all employees go through for app updates. Offering a robust app catalogue from a trusted source is key to customer happiness and device security. "Simply the best solution for Mac MDM"
Jamf always has the latest MDM functionality. It's the most comprehensive Apple device management system around; also, I like that it's very extensible - if I don't have an out-of-the-box solution for our business I can usually create one. Would be nice if it had Android support, I guess. I really don't dislike anything enough that would cause me to look elsewhere at this point - our team has evaluated several alternatives, but we keep coming back to Jamf. There can be a bit of a learning curve, but it's really worth it. Once you wrap your head around it you have a complete management solution for your Macs. Jamf Pro provides a very flexible platform for managing Macs in Enterprise. We are able to manage our machines on par with our Windows counterparts - in fact, sometimes better. We can keep them very secure and up-to-date, generate comprehensive reporting, integrate with other IT systems, and always take advantage of the latest technology that Apple provides within a reasonable time frame. "My right hand for iPads"
Great customer service when attempting to figure out iPad glitches. Friendly user interface to perform the different tasks and functions I need to do. not being able to use the unlock feature for all the iPads (to clarify on this, I was informed that the unlock feature would only work on iPads that had been enrolled into Jamf Pro with 11.4.1 which excluded even the brand new iPads that were shipped in). At times, Apple and Jamf have some communication issues. The benefit of having Jamf Pro is that it allows me to create configuration profiles for our school district iPads, set restrictions and isolate difficult iPads when necessary. Customer service has contacted me fairly quickly when there have been issues or when I need to verify that modifying groups or profiles will work fine with the system. Recent issues and projects that I have worked with Jamf on are putting 6000 iPads into two prestage groups and then assigning them to school locations through static groups. Jamf was there testing with me to ensure this wouldn't cause any problems. "Apple management headaches? No more with Jamf Pro!" Quite simply, the ability to have almost no touch on any of my device deployments but still deliver a white glove treatment to my end users. I used to spend hours writing scripts and pushing via ARD, but now I can create policies and packages within Jamf Pro and forget about it. Integrating with Intune also helps, as I can now see all of my devices in a single pane of glass. The Jumpstart cots is a little steep and required. You do receive a lot of hands-on support with an Integrator, but it's not what I'm used to as a SME with other products. Device deployment and management. Cutting down the amount of time it takes to roll a new device out to my end users. Additionally, patch management. Before I had to beg and plead with users to make sure they have everything up to date on their Macs. Now, I can force updates and even OS upgrades. "Managing a Mac Fleet in a Window Centric enterprise "
With JAMF is fairly easy to be in parity with the SCCM update and patching cycle. That goes a long way towards helping Microsoft folks with little Mac experience to see the platform as "Enterprise". That is key. Reducing the number of labor hours spent on firefighting. Our trouble ticket count for Macs is down substantially and as management is seeing a substantial decrease in TCO and an increase in ROI for the Mac fleet, Macs have become a standard onboarding option. "Best Tool for Mac Management"
I like that JAMF Pro is a very powerful software tool that is easy to use. In addition JAMF Pro updates are released before Apple releases software upgrades. It's great to have support in JAMF for Apple's new features before they are released. This allows us to better identify the impact of new features in order to test and prepare ahead of an upgrade. Customer support is also superb! Nothing! I haven't had a bad experience with Jamf Pro, or Jam Software. Compare the other vendors who have similar products and choose the one that will best suit your needs. However, you will not find a better Mac Managment tool on the market. Our school district is using iPads for our 1:1 program. Each student has an iPad and every teacher has an iPad and MacBook. This equates to over 15,000 devices we manage. We have one administrator who is able to manage all of these devices using JAMF Pro. Without JAMF Pro we would need several additional employees. "One of the best Apple MDMs"
JAMF Pro is one of the best MDM systems available for specifically managing Apple devices. It is very simple to configure - a competent administrator can watch the JAMF training videos and read the documentation and get started very easily. This is made easier with direct access to a JAMF engineer during the trial period. Our company was able to get a basic working configuration within a a week (although not ready to roll out at that stage!). There are support options available as well as a sizeable helpful online community as well as various training courses. As with any enterprise management software there are some product issues and limitations to work around, however there are no show stoppers. Prepare for the trial by watching the JAMF 100 and reading all the documentation in advance and utilise the trial period properly to test all your requirements and get the most out of the assigned engineer. Our company has primarily used JAMF Pro for an initial MDM rollout for compliance purposes, which is important as part of our iSMS and for due diligence processes with customers. "Jamf is a great tool for managing your IOS devices." I like how easy it is to push apps individual devices, The ability to remotely wipe or lock out lost or stolen devices. Just overall ease of use within the GUI of the software. I like having a cloud option to run the software out of, these eases the burden of having another onsite server to manage. One of my favorite features is being able to push a preferred WIFI profile to my devices so I know they are all of the correct SSID. Being unable to push books to individual devices the same way you can push out apps. This is a particular hurdle for our music department. Renewing all of the certificates every year between JAMF and apple can be a bit of a pain. I wish these could be renewed for 3 years at a time. I have had a few small features get broken when are JAMF was updated. Then I had to wait until a new version was released to resolve a known issue with the software. We had a number of iPad's being used in our district and had no control over them. We needed and MDM to be able to stay on top of this. We had apps being purchased more than one time because of lost apple id's or people just not knowing the software was already added onto another device. We were searching for a way to manage these devices without having to physically track them down and touch them every single time they wanted an app installed or needed to be on the wifi. "I’d be lost without jamf!" I can manage all of our 1:1 iPads, and all of our Mac OS inventory with little it staff. This tool makes it possible to do everything you need to do to keep on top of everything. I dislike that the last renewal we had, was priced a bit high, and we almost couldn’t get the contract signed. Not having access to this tool would decimate our education program. Fortunately they worked with us and we negotiated a fair increase and migrated to jamf cloud. I am able to manage over 6,400 iPads and over 2,500 macs with little staff. I can add software and necessary restrictions on the fly and can even make changes from my phone. I can assist in finding a lost device and lock them down when wrongly removed from the building. I really like the way you can manage the MacOS. The ability to chain policies is very helpful when setting up new MacOS devices. With DEP and Jamf Pro you can hand the user a new laptop and be able to walk away, knowing that they will be able to setup and use the device without IT needing to be there with them. There are a few feature requests, that if implemented, would make the overall user experience with Jamf many times better. For example not having a parental portal, that would allow for after school restrictions on the Apple device is a drawback. Saving time setting up new devices for end users. This has allowed the department to save many man hours. These hours are then used on other projects that have helped reduce the costs within the District. "Jamf: EEM + MDM = For the Win"
Jamf's entire business model is built around helping Orgs succeed with Apple. It's in their best interest to do so - in a way this is kind of a built in guarantee. and they are extremely receptive to feedback and customer input. At times Jamf can lag in support of documented API's that Apple provides; often times it's the other way around and they lead on this point, though. Sometimes Jamf can be a little too over the top when it comes to their communication style and friendliness, but this is hardly a BAD thing. I generally take this as just trying to be really nice and not fake. Ask to fully evaluate the product with a live test instance. Secure fleet management of Apple Devices. Many benefits, mostly surrounding repeatable, audit-able, and secure institutionally-owned device management. I like the power of jamf. Being able to create exention attributes is by far the most powerful thing about it for me. Also I am now starting to experiment with preference files and custom plist with configuations profiles. The complexity of setup. I am still having troubles setting things up. The certificates are a bit unclear to me. My quickadd package does not work because of this. I also don't like things like the login triggers not being supported anymore because apple does not support that anymore. It should be engineered by jamf to make these things work out of the box once more, not by having to create all sorts of launchdaemons myself. That's why I got a thing like jamf. It's a great piece of software. It's just not easy with a company like apple. I took over the mac computer management from another guy who was working with ARD. "The best Apple platform management software"
A Mobile Device Management (MDM) service compliments each other, between Apple and JAMF. It also works with Apple official programs like Device Enrollment Program and Volum Purchase Program, the integration with Apple services is the best thing about Jamf Pro, you can fully use all Apple features with Jamf Pro. The interface is clear, very easy to manage, it also provides useful information that we could not get anywhere else. Price can be a little bit high for SMBs. I am aware that Jamf offer Jamf Now or small businesses, but the feature can be quite limited. There are a lot of other platforms offers the similar features, but Jamf Pro definitely compliments Apple spirit, could be the most reliable and easy to use platform. Application (in-house and App Store) distribution and deployment. It works really steady, we rely on the platform. "Best MDM Solution hands down"
Everything really from the product to the training courses to the support staff. Absolutely awesome. If you are looking for an MDM solution this is the one to go for, we had a look at other solutions but find that they are limited to what it can do. JAMF offers much more features, you may not use them all but you never know what the future may hold. We started by just using it for our iOS devices now we are using it with our Mac OS devices. Pay per number of devices to use the software and get support as well. Oh yeah the JAMF Nation community is like the best forum to seek answers to anything JAMF. If you run into any issue 95% chance someone already found a fix for it in the forum. We have over 1000 Apple Devices from Mac OS devices to iOS devices. JAMF Pro allows swift and centralised management. Renders manual setup and management redundant which we absolutely love cause of the number of IT personnel in our organisation. "Best Apple Management Platform bar none." We use JAMF Pro to manage ~900 Macs and ~100 iPads and it allows us to fully managed all aspects of the devices with ease. Software and hardware inventory are very easily obtained, along with software deployment and zero-touch device deployment. JAMF Pro also offers zero day support for new models from Apple. Documentation is excellent and the community site (JAMF Nation) is also very useful for getting help or information from other JAMF Pro users. JAMF Support is very responsive to support issues and they have a local team in Australia as well, so you don't have to rely on time zone differences to receive support. There are often bugs in each new release, especially major releases. JAMF are usually quick to address them, though sometimes they quite a long time before they are fixed. Some elements of the UI in the admin console are confusing and it's not immediately obvious where to find certain settings (for example, LDAP group membership). Make sure you setup a DEV environment for testing new releases before updating your production instance to see if there are any major bugs in each new release. We are able to provision new devices with JAMF Pro and the Apple Device Enrolment Program with ease, as well as packaging software for end users to install via Self Service. The user experience is vastly improved compared to before we started using JAMF Pro. Jamf Pro once up and running functions great. Jamf has updates to work with new Apple features as soon as they are available. The support is great, very helpful and knowledgeable about their product. I have had updates cause the system to stop working, but as long as you create a backup first it is not the end of the word. This is rare. I have only had this occur twice in over 2 years of using Jamf Pro. If you want a program that works and does what it says, get Jamf Pro. It is difficult to get up and running, but once you have it working you will love it. I use Jamf Pro to manage our prek-6th grade iPads for our school district. Over 500 iPads controlled between two buildings all on one mac mini. The functionality of the system is great, there is very little I would change. "The obvious choice for Apple device management"
This tool is simply powerful, without being too complicated. Combined with Apple DEP and VPP, Jamf is your one-stop shop for MDM. Whether you only want to use it for management, or for pushing out company policies, power is there. After fiddling around with things, or getting help through the awesome forums, you'll find yourself pushing out webclips in user docs, preventing torrent programs from being used, and automatically deploying printers. "Jamf Pro is the best Apple Management Product on the Planet"
Unlike other MDM systems, it WORKS. I was using Munki and macOS server/Profile Manager and had so many problem with it. Jamf Pro just works perfectly. You don't have to work that your policies and config profiles aren't going to get deployed to all of the scoped devices. It is a really, really great product. Nothing. It is SO well developed. Seriously I have never used a product as good as Jamf. It just blows me away that the product works so well and how great their support staff is. They are on the ball, and everyone who is serious about managing their Apple environment should be using Jamf Pro. If you want to have full control of your Apple devices, have everything just work the way it's supposed to, and have a support team ready to help out... Go with Jamf. you won't regret it. Simply second to none. Apple device management from start to finish is done with Jamf. Initial configuration, deployment, managing and providing users with a real infrastructure (such as printing, hosted applications, updates, settings, preferences... the list goes on). It has excellent reporting features. Basically anything you can script, you can do with Jamf. We also use it for our iPads for similar deployment and management. I believe it is the best Mac/iOS management product available. They offer zero-day support for new MacOS and iOS releases and the DEP/VPP integration is great! I wish the patch management was a bit more fleshed out. I trust it will begin to be in the next year or two. Use JamfNation! The community is one of the best parts about jamf. People are willing to share how they are using the product and are great resources. Take the time to plan out your policies/profiles. You can save a lot of time by thinking through how to utilize these features best. We utilize jamf pro for MacOS/iOS inventory, software management, compliance and setup. The ability to manage machines locally and remotely. Ability to provide a self service model for our clients. An ability to gather info concerning differing groups of managed devices (e.g. computer lab management/iOS devices/primary user machines). The inability to select multiple devices or policies to then change in some way. An example would be selecting say fifteen policies, then disabling them all at once instead of having to open each individual policy to disable it. It would be so nice to be able to act on multiple functions at once. I have really enjoyed learning and using this product. I still have a lot to learn. Self Service for software installation and updates, inventory management, ability to offer remote support. "Unmatched quality and support for Apple EMM"
"A power product for power users"
Jamf Pro allows us the flexibility to manage our environment as we need. Unlike Active Directory, Jamf is extensible and allows us to collect data, manage, and configure endpoints on our own terms. I wish there was more 1st-party support and product offerings and breadcrumbs throughout the application. There’s a lot of clicks to get simple things done. An in-line script editor and package upload utility would be useful! We have a massive fleet of systems on campus which are in a multitude of locations. Our current self-service utility, BigFix, is slow and cumbersome, and not user friendly. With Jamf Pro we are able to leverage thoughtful self service, endpoint deployment, and overall manage our customer support and service experience from end to end while reducing overall technician hours. Software which normally would take hours to deploy and lots of babysitting would now be only a click away, no tech time necessary. "Jamf makes Mac and iOS management a breeze"
The University of Oklahoma libraries have been using Jamf for years, and I only just started this past summer 2017 in the role as Mac/Jamf admin. Jamf has made being a Mac admin in a larger higher-Ed environment for easiest and more enjoyable for things like deployments and troubleshooting, using scripting/automation, imaging, and patch management. There’s not too much that I dislike, however I do wish that their was an official Jamf app for my iPhone that worked better than the mobile version of JSS. Also, as a newish user to Jamf/JSS, it would be cool if there were some kind of hoverable question mark type icons in JSS that would give brief explanations for some of the different aspects of the JSS, rather than having to jump out of the JSS and search for answers in the Jamf documnetion and Jamf forums (both of which are great). "Why we use Jamf Pro"
We rely on Apple's Device Enrollment Program for iOS devices and Jamf has a great solution for automatic enrollment and management. MDM is critical for iOS deployments and Jamf Pro provides all the features we need there. On the Mac side of the house, we specifically rely Jamf Pro for FileVault encryption management across our fleet of computers. We also use many of the other management features for configuration and compliance. The patch management solution for keeping software up-to-date on the Mac platform is a weak point. We use other tools here to simplify package management and patching. The reporting is helpful, but requires a lot of manual setup and configuration to get just right. It would be nice if there were more built-in or pre-packaged reports to guide you to proactive solutions for issues that are reported with endpoints. I think the idea of "one piece of glass" to manage disparate platforms is overrated. I believe it's better to choose the best tool for each platform, and Jamf Pro is the best tool for the Apple platforms. We provide education and business customers with fully managed solutions to deploy, configure, manage, and monitor iOS and Mac devices. Jamf Pro provides the foundation for our management stack, even though we also draw on other commercial and OSS solutions. We have realized significant productivity enhancements by being able to build automated, repeatable, and monitored solutions to common issues. I like how with a click of a few buttons I can automate a task that would take my team weeks to complete. I like the quick response and thoroughness from Jamf Support. After moving from open source management solutions to JAMF I have had much more time to implement ways that increases the quality of service for our environment. While Jamf is working hard on implementing patch management, I wish it was here sooner. Look at the time that is spent trying to get the other products to work for you and you will likely see it is worth the money. We are able to image a computer and have a computer on a users desk within the hour. If I need to push out a policy in order to comply with our security team's request I can do that. We are able to store File Vault recovery keys on the Jamf server, in the event that someone is out of town and needs to get into their computer than can. We pull application usage logs in our computer lab environment to justify the need for licensed software. "Jamf Pro is great and getting better"
My biggest complaint is the documentation, specifically the docs that reference making OS, Java, Apache Tomcat, or MySQL changes. Those pieces of information are often vague, which JAMF says is intentional due to many supported server configurations. I would personally like to see more detailed "best practice" documentation for the 4 major supported OS's: OS X, Ubuntu Server, RHEL, and Windows Server. Jamf Pro offers one of the best "out of box" experiences in my opinion around Apple device management. I would suggest going through the official training if possible however, and having someone on staff certified depending on your businesses size. I image Mac's, manage and update software, and control security settings. I've come to value how well JAMF Pro works for enforcing security policies and restrictions across a wide variety of devices. "Easy to use with a few snags." I like the usability of Jamf. I have been able to convince colleagues that Jamf is the way of Mac management for the future by actually showing them what it can do in live demos. Each year I get more and more excited for what Jamf rolls out and it encourages me to continue growing technically. We're the fastest growing company in america right now. Getting Macs into users hands as fast as possible is important. Jamf has helped us do that. We've been using Jamf for over 5 years now and it's been a wonderful tool to manage our K-12 devices - both laptops and iPads. It provides an extremely intuitive interface for managing app deployment and an all-encompassing toolset for creating packages and deploying software to laptops. We've also utilized the Shared Model sync from PowerSchool > ASM > Jamf which is a great way to get iPads into the most student hands until we go fully 1-to-1. There's not a lot of negatives to report about Jamf overall. It's a pretty rock-solid product which they keep up to code with Apple's latest releases. If I had to pick something to complain about, right now I'd say I'm not as happy with support. Usually support is top-notch, and I have no doubt that they will get my system up and running in a pinch, but if it's a bug or glitch or something simple that you want to chat about and make sense of it's felt like pulling teeth with the first level of support and I pretty much just avoid it and go straight to my Apple rep to bounce those questions around. I used to have a solid relationship with our previous account reps but not so much right now. There are some free MDM options out there, but in my opinion Jamf is well worth the money for our deployment of over 5,000 devices and growing. Even as we've added more devices, the tiered pricing has allowed it to be competitively priced to absorb those costs. They are also not working with Apple School Manager and PowerSchool to allow for sync'ing over of data, which is working great. Jamf has been great for app deployment, software deployment, filtering of devices, restriction of permissions and software, the ability to find lost devices (lock), and creating Classes in both shared and single user modes. SELF SERVICE app is the best thing since moving to Macintosh OS in our school! This allows our IT department more time to work on more pressing matters since our teachers/staff/students can go get the apps they need asap using Self Service. It is hard to say anything bad about Jamf. Their support specialists are the best! They are always there to support us. The only thing I would say needs to be better is the price of the classes they offer. It is very expensive, but I feel is the best way to understand how to use the product to the fullest. Go to the classes offered by Jamf Pro. Helps understand how to use the product. Mobile Device Management! I can manage 600+ devices seamlessly using Jamf Pro. There are so many benefits including Self Service and DEP (Device Enrollment Program) PreStage Enrollment. The DEP PreStage Enrollment allows use to distribute computers without imaging. Zero touch enrollment! It is amazing!!! This saves so much time and energy. "There's A Reason Jamf Pro is the Standard for Mac and iOS Management"
Jamf Pro is easy to use, yet extensible and flexible. It makes it easy to manage 10-10,000 devices! Most importantly, Jamf Pro was/is developed with Apple products, and for Apple products. Jamf doesn't spread itself too thin trying to make sure that they can support every OS and product under the sun. This specialization has helped ensure that Jamf offers zero-day support for new releases. While Jamf Pro's learning curve isn't steep, it can be a little daunting to wrap your head around what it offers. Also, the start-up isn't exactly 'turn-key'. You'll need the Jamf Jump-start. I'm not saying that Jamf Pro is expensive, but look for more than price when looking at a MDM solution. Also, IMO, Jamf Pro is also the one solution that's the most tightly integrated with Apple. We're managing thousands of Macs, (and some iPads as well) across five continents, with a small staff! What we're realizing is that our Windows management, which has long been seen as the 'leader' in terms of device management is just catching up to what we've been doing with Jamf Pro. Jamf is the most power and flexible management tool I have seen. If it is not already capable of doing what you want, the Jamf user community is out there in full force ready and willing to help. If they have not already solved it Nd shared the solution, they are always there to help. We needed a way to quickly and simply deploy new devices to offices all across the country and world when IT is only in two of the many offices. We have been able to create a smooth simple deployment workflow that can be done by any AE in any office if needed. It is even okay if the end user does it themselves. "Best in class for Mac Management, hands down"
The ability to have as simple or complicated an architecture as you need. We were up and running within a few hours and managing our Macs out of the box, but with scripting and policies we now have a very dialed in approach that meets the needs of our environment. The training/certification system makes it very hard to get certified unless you are already in a JAMF using business. Before JAMF our Mac environment was the wild west. No distribution, hand built machines, no patching... just a nightmare. Now we are in many ways running a tighter ship on the Mac side then we do on Windows. And we owe that to JAMF. The GUI is terrific. I am in and out of SCCM all day and going to Jamf to work on my Apple environment is an absolute pleasure. Reporting is abysmal. I want to be able to provide extremely granular reports for upper management and I have to manually retrieve the data myself. I've run Jamf servers on both Mac and Windows backends. It used to be rough to run on Windows but I think it's way better now and it doesn't matter which way you go. If anyone is still using ARD, wise up and spend the coin to get a better solution. You'll save your sanity and be a hero to your management AND userbase. Our company is experiencing growth in the macos arena and we have utilized Jamf to manage and secure the devices we've deployed. Jamf has allowed us to provide a single platform similar to SCCM instead of trying to juggle multiple open-source solutions like others had to do in the past. "Jamf helps us succeed in Healthcare with Apple"
We use Jamf Pro to manage our Apple devices. Whether they are devices for patients, clinical or staff. Jamf Pro makes it possible to lock down our patient room Apple TVs to be used only by the iPad in that room. We wouldn’t want another device affecting a different room inadvertently. Jamf’s Healthcare Listener allows us to perform actions on our devices based on ADT/HL7 feeds. This is a huge automation tool that drastically reduces the load for IT in getting a device ready and allowing our staff to focus on our next patient. Not a lot of customization on the dashboard. Need to build those out in Service Now instead. At least there is a strong integration there. JAMF Pro is our go to MDM for automation and new functionality introduced in the new Apple Operating Systems. The Automation Jamf Pro brings us allows our staff to spend more time focusing on our patients, not configuring devices. Jamf’s Healthcare Listener allows us to sanitize a device digitally and reliably between patients. This ensures a complete removal of any data that could be exposed from patient to patient. Improving patient satisfaction during their stay by providing necessary information to our patients immediately. "Good product for use in the enterprise but struggles with large installation packages "
The Self Service App is the best part of the application. It provides quick access to supported apps and allows users to access other resources on the network such as printers. The second best part of Jamf is that it provides a quick look at the hardware of the device and the software installed. Does not handle large installation files. We have several Art and Music related apps that are GBs in size. Jamf simply does not work well with those large installation packages. Jamf Pro seems to work best with "standard" applications. If you can purchase an app through the App store, Jamf will do a great job managing that application. It also does a great job working with adjusting the settings you would normally apply to your end users' devices. However, if you use complex apps, or if you are used to digging deeply into the configurations of your devices, Jamf Pro may not meet all your needs. We are moving away from imaging our macs. Jamf Pro provides a quick, mostly hands free way of configuring our Macs for labs and for staff/faculty. We also use it as a simple way for end users to add printers to their Macs. "Great Product, Pretty good support, high price"
JAMF has a great product - I don't think there's anything on the market that compares to it. If a company has a substantial Macintosh deployment, they almost need JAMF. You've become the gold standard. Historically, the UI has been clunky, but I think it's gotten better. I'd love the UI to better walk you through how to setup policies & configuration profiles with workflows / wizards / something. Lastly, your support used to be stellar, and I think there was a turning point a year or so ago when our personalized CS person was taken away. I think it's been better recently? I don't need to use it that often, so I don't have a great pulse on this. It's a great product that continues to get better. You'll need to spend time to justify the cost to executive management because I think it's kind of pricey. We only use Macintosh laptops as a company, so we use JAMF for life cycle management of all employee laptops across the organization. "Using Jamf in a school district enviroment"
With the recent move from apple to 10.13 we have had to dive deep into Jamfs DEP Provisioning. It's been a wonder to add a device and watch as Jamf takes over and gets everything ready for the end user. Additionally being able to use jamf for not only inventory but to assist in recovering lost or stolen assets has helped us greatly in the past and will do so again in the future. Other than Jamfs version numbers? I'd love to have more control over what a user can do. We have a number of techs that push out packages and scripts using Jamf remote however we would like to prevent them from creating policies within Jamf Pro. We have had issues with badly scoped ongoing policies causing trouble in the past. We have always had a number of users who run updates once a year if we are lucky. Patch Management has saved us in this respect. It's wonderful to walk up to a machine and know that all software updates have been taken care of. "Jamf Pro - the center of my universe." I like the fact that I can manage all aspects of my MacOS infrastructure (configuration profile, VPP, patching, software distribution, etc.,) from one location. There is really nothing I "dislike". I do wish there were some additional features available, like the ability to change the theme color for different environments (Prod, DEV, UAT). Would also like to have the ability to import information from a spreadsheet or text file to create a group. If you are looking for a way to centrally manage Apple devices in an enterprise environment, Jamf Pro is your solution. On-prem setup is painless, less than 1 day with professional services. Jamf Cloud setup was even easier. The benefits we are realizing is the ability to manage a globally disbursed client base with less resources. 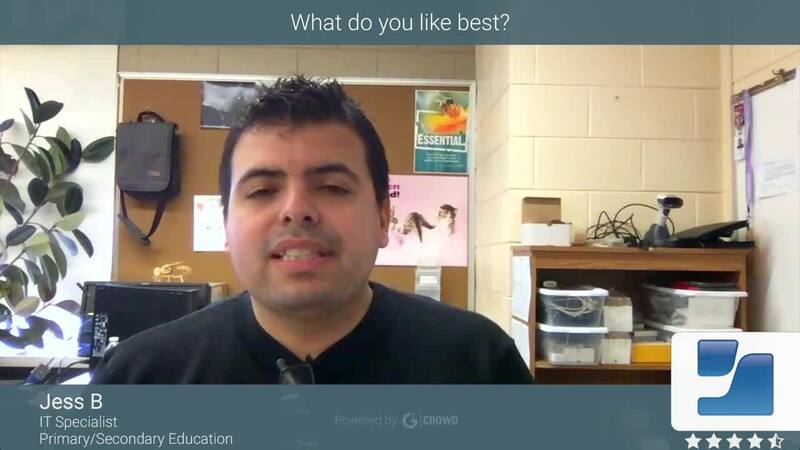 "JAMF Pro -- K-12 Opinion"
I like the flow, it meshes well. It is so much better then where we were in the past. I think one of the only things that I dislike are some feature request that have not be implemented. Unfortunately, most of these are not in JAMFs court....but the simple fact that apple has not allowed that functionality yet. I think at the end of the day, KISS. I cant tell you how many conversations I've had with folks who are simply over complicating the MDM side of the house. They basically want to "micro manage" devices, apps, access. This is sometimes needed but 9-10 in the Education market, this is not the case. If its a free Application, who cares if its a "Third Grade" app and a "Second Grader" can see it? Hell, maybe they will download the App and continue to improve the knowledge and skill set and get to a high reading / math level on their own. Which, at the end of the day, when it comes to project based learning / independent learning....thats what we are going for. We want our students to become independent learners. The fact that I manage 28, 000 devices with the click of a mouse. In K-12 education, we always have more devices and problems then most folks do in corporate. We also have limited resources when it comes to the amount of staff we have. "Great product with even better support"
Ive been using jamf Pro for 3 years now, it offers a lot of ability and is somewhat easy to learn but you can really go down the rabbit hole with options and features. This product offers a lot! The most import thing for me is the support, the support team is fantastic. When i do have to call in, its usually complicated problem and their ability to call on resources within Jamf is huge, i can get my issues resolved very quickly without a "band-aid" solution. Sometimes the web interface is a little slow. Also not being able to force a retry of config profiles can be a pain. Support is amazing, dont worry about calling if you have an easy or a complex problem. We are currently using on-prem and it runs smoothly, but i would recommend cloud based if you can. In a school, being able to give teachers control over student devices is amazing! We are also able to push out app teachers need very quick and have a wide scale deployment with ease! "Jamf Pro is a must-have Mac mobile device management system!" Jamf Pro is very well thought out device management system for macOS and iOS. It delivers great tools for providing easy to navigate patch management and endpoint management. Its ease of use is a great testament to how much time and research has gone into this tool. It does a great just job of also listening to its clients. With the expansion of its mobile apps its definitely a device management system to consider. Jamf Pro currently does not support a majority of apps that are listed in their patch management section. I know they are working on supporting more vendors/products. I would like for more granular rules allowed for in the smart computer groups. This is a a must-have management system. Its very robust and will most definitely give value as soon as it is implemented in your environment. Jamf Pro provides a self-service portal that rivals Apple's app store. With the new Jamf Pro 10, customization of the self-service portal makes it look more professional with a touch of your own company's designs. Patch management for our end-users. Our end-users now have a self-service portal that gives them a one-stop shop for all the apps that we are supporting for them. They no longer need to look for the update packages and waste the time during installation. Financially, it has saved our company a lot of money since the user no longer has to waster their time patching their machines or looking for the patches themselves. "Jamf Pro A Great Product for MDM"
I like the ease of use, along great user interface which is intuitive. Support is always there no matter how complicated or trivial a issue/question is. The training programs are well worth the expense. Im really happy with the product, there are always little things that are specific to an environment that cause issues, but you would encounter this no matter what MDM solution you utilised. Jamf Pro is well on the way to zero touch deployment in our organisation, giving IT Staff more time to assist and educate the end users. If your organisation wants the end user to feel empowered and in control of what software they have on their devices Jamf Pro is well worth considering. "Jamf Pro: A Great Addition To Any School"
Since we have moved to the cloud, the upgrade structure has been great. It's fantastic how quickly the turn around is on getting the upgrade implemented. It has been great that Jamf keeps updating and implementing new and better ways to manage iOS devices and better the Jamf software. Then number one complaint I have is the slowness we sometimes experience when manipulating an iPad. Sometimes it takes far too long to load the management tab for individual iPads. This sometimes slows down our responses to staff and students. A feature we didn't think we would use much is Enable Lost Mode. We give several of our iPads out to both staff and students. We have had a number of both misplace their iPads. The ability to both have the device make a sound and show where it is at has been a huge help for us. "Couldn't (Wouldn't) Do My Job Without Jamf Pro"
Easy of guaranteeing student devices are ready for classes by pushing out apps (with no need for an AppleID) and having Apple Classrooms pre -configured for teachers. I would LOVE to see some way to have time based profiles. Profiles that only are active during the school day. The ease of use and the API make this an invaluable tool for us. iPad roll out to students. We can hand a student a wiped iPad and their logon credentials and we are done. All apps, classes, restrictions and settings are installed when they set it up. The time savings are enormous each summer when preparing iPads for the new incoming students. * We monitor all Jamf Pro reviews to prevent fraudulent reviews and keep review quality high. We do not post reviews by company employees or direct competitors. Validated reviews require the user to submit a screenshot of the product containing their user ID, in order to verify a user is an actual user of the product. Hi there! Are you looking to implement a solution like Jamf Pro?